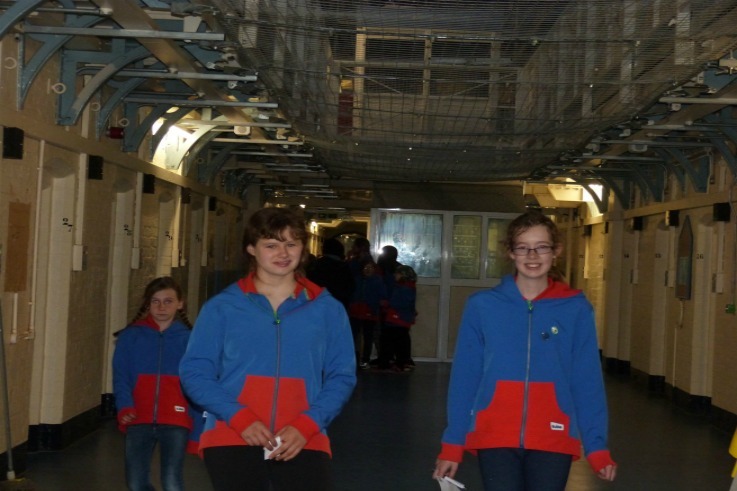 On Friday night more than 300 guides and senior section girls from Shropshire were counted in through the doors at Shrewsbury’s Dana Prison for a sleepover. Making themselves comfortable in their far-from-luxurious cells for the night might have been a little tricky, but the girls also had plenty of activities to keep them busy before bedding down in their makeshift bunks. Girls made jewellery from washers in the workshop, took “cellfies” with their friends, played football and made fingerprint animal cards, then took part in a quiz to find out about all kinds of prison history, such as information about the Hanging Room and various other parts of the complex.